Gail Friesema ’61 Farnham of Ithaca, New York, attended the Presbyterian Disaster Assistance annual meeting in Atlanta, Georgia, in April. Members of the volunteer National Response Team and National Volunteer Team gathered to expand the teams’ knowledge of disaster ministries and response. She started volunteering in 2005 with hurricane Katrina recovery with her local presbytery … Continue reading "Gail Friesema ’61 Farnham"
Carl Vermeulen ’61 of Williamsburg, Virginia, and his students at Paul D. Camp Community College (Suffolk, Virginia) reported their peer-reviewed “Heat-Proofing Vaccines” to an international meeting of the American Society for Microbiology in New Orleans in June. Non-live vaccines such as DPT, meningococcus and Salk polio along with many for livestock were stabilized in dried … Continue reading "Carl Vermeulen ’61"
Jack A. Siebers ’63 of Holland, Michigan, has been included in The Best Lawyers in America 2018. He is in corporate law with Foster Swift Collins & Smith, P.C. 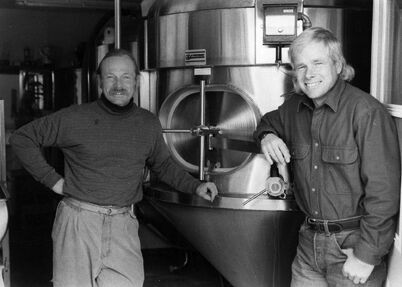 “SOMETHING IN THE WATER” PART 2 Following publication of the article “Something in the Water” (Summer 2017), about microbreweries established by alumni, we learned that we missed the earliest of them all, Grand Teton Brewing, founded in 1988 by Charlie Otto ’78 and Ernie Otto ’70 (the latter of whom died in June 2008). Originally … Continue reading "Ernie Otto ’70"
Susan Klaner ’71 Madden of Onaway, Michigan, reports that September was filled with a trip to Kailua-Kona, Hawaii, for a 10-house, 10-day Blitz Build with Habitat for Humanity. 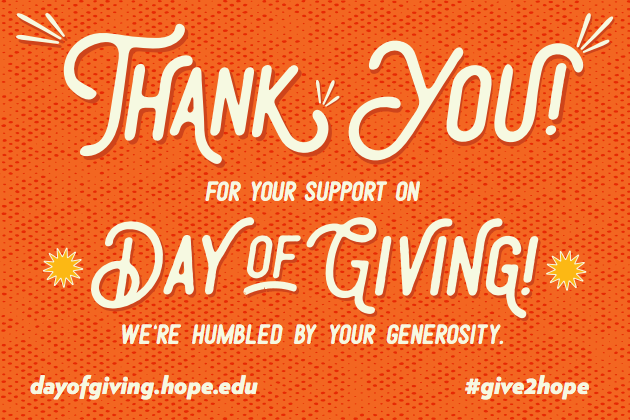 Her team, which included 27 people from all over the USA, was divided up to build two houses. She reports that the families were all on site … Continue reading "Susan Klaner ’71 Madden"
Cathleen Work ’73 Draper of Edmonds, Washington, retired after 43 years in education. The first six were as a fifth- and sixth-grade teacher in the public schools of Oberlin, Ohio. One year was as a teaching assistant at University of Washington while working on a master’s in curriculum and instruction. The remaining years were in … Continue reading "Cathleen Work ’73 Draper"
Robert Van Voorst ’74 is a professor of New Testament at Western Theological Seminary and recently had his book Commonly Misunderstood Verses of the Bible: What They Really Mean published by Cascade Press. It treats 24 passages from the Old and New Testaments, and is designed for both individual reading and group study. Rich Williams ’75 reports that he has released performance measures for New Mexico Mainstreet. They have leveraged a combined $51,021.866 in private-sector reinvestment over the last five years, which has provided opportunities for local entrepreneurs to open and expand 558 net new businesses. For 15 years he has been the executive director of New Mexico … Continue reading "Rich Williams ’75"
Beverly Kerlikowske ’76 Butler of San Rafael, California, was recently honored at Theatre Bay Area’s 40th anniversary gala as one of the 40 people who have changed the face of regional theatre in the San Francisco Bay Area. She serves on the executive committee and board of Playground, a new plays incubator, and also on … Continue reading "Beverly Kerlikowske ’76 Butler"
Todd Harburn ’78 edited the book A Surgeon with Custer at the Little Big Horn. He is an independent scholar, orthopedic surgeon and doctor of sports medicine. He and his wife, Shirley Bolhouse ’79 Harburn, reside at the Straits of Mackinac, Michigan. “SOMETHING IN THE WATER” PART 2 Following publication of the article “Something in the Water” (Summer 2017), about microbreweries established by alumni, we learned that we missed the earliest of them all, Grand Teton Brewing, founded in 1988 by Charlie Otto ’78 and Ernie Otto ’70 (the latter of whom died in June 2008). Originally … Continue reading "Charlie Otto ’78"
Adelheid Holthuis ’71 Denz of San Antonio, Texas, is the author of Uprooted: The Story of an Immigrant, a novella about a young surgical nurse who comes into adulthood during the horrors of World War II Germany. It is based on a true story, and grapples with Adelheid’s late mother’s wrenching emotional odyssey from Nazi … Continue reading "Adelheid Holthuis ’71 Denz"
Sheryl Busman ’80 Vander Wagen was recently elected to serve a second two-year term as secretary of the National Board of the Antiochian Women for the Antiochian Orthodox Christian Archdiocese of North America, based in Englewood, New Jersey. She will also serve as religious coordinator for the Antiochian Women for the Diocese of Toledo and … Continue reading "Sheryl Busman ’80 Vander Wagen"
Steven Visscher ’80 of Bronxville, New York, is pictured with the Emmy he won on Sunday, Sept. 17. He was part of the team that won the award for outstanding sound editing for a limited series, movie or special. He was the supervising Foley editor for the “Subtle Beast” episode (July 16, 2016) of The … Continue reading "Steven Visscher ’80"
Marty Klein ’81 is chief financial officer of Athene Holding Ltd., a retirement services company which listed on the NYSE last year. He and his wife, Debbie, reside in Richmond, Virginia, and New York City, New York, and celebrated the marriage of Marty’s daughter in July. His son is a senior at Rutgers University. Nancy Kropf ’81 of Winterville, Georgia, has published a book, Evidence based Treatment with Older Adults. The book is written for mental health professionals and students that are working with older adults. She is the dean of the Byrdine F. Lewis College of Nursing and Health Professions. Lori Moore ’81 had the stars of The Guiding Lighton her show, The Lori Moore Show on WWMT/CW7, including Kim Zimmer ’81. They were promoting their show The Lion in Winter at The Barn Theatre. Linda Leslie ’82 of Cincinnati, Ohio, celebrated her 10-year anniversary at University of Cincinnati, where she is a database team manager as part of the IT@UC software development team. Tom Van Heest ’85 of Grand Haven, Michigan, recently published Rock: a football novel, the third book in the Juddville Jaguars series. Linda Hardin ’86 and Otto Turrentine were married in July in Blaine, Washington. Linda is teaching her 30th year in special education and they live in East Lansing, Michigan. 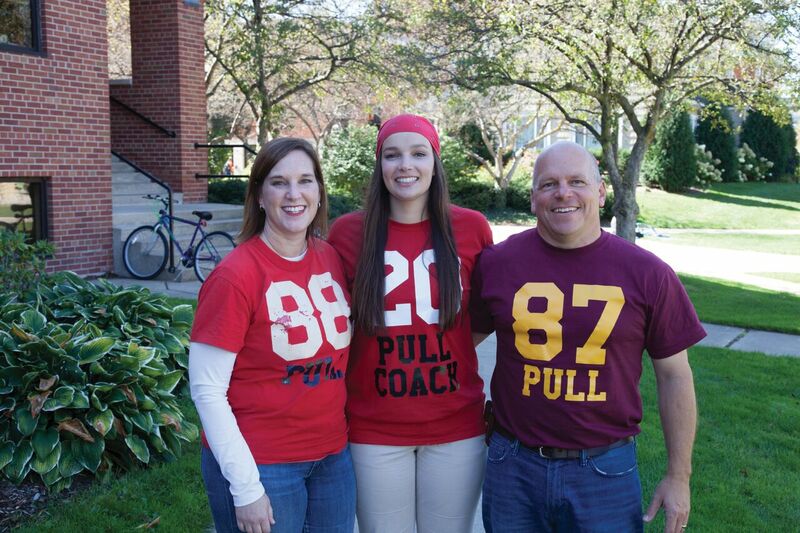 Eric Tooley ’87 and Anne Hathaway ’88 Tooley of Ada, Michigan, were on opposite sides of the Black River during the Pull as students, but as parents they’ve enjoyed sharing the tradition together with daughter Allison ’18, who participated in the 120-year Hope tug-of-war during each of her four years at the college, two as … Continue reading "Eric Tooley ’87 and Anne Hathaway ’88 Tooley"
Scott Buhrmaster ’88 of Chicago, Illinois, has been named chief operating officer at the Force Science Institute, an internationally recognized, research-based organization focused on studying the intricate human dynamics involved in high-stress, rapidly unfolding force encounters involving law enforcement professionals. The institute provides specialized training for a wide variety of federal, state and local law … Continue reading "Scott Buhrmaster ’88"
M. Lynn Massey ’90 Breyfogle is an associate dean and professor at Bucknell University, and has been awarded an American Council on Education Fellowship for 2017-18. ACE is the nation’s premier higher education leadership development program preparing senior leaders to serve American colleges and universities. She will be serving her fellowship at Albion College under … Continue reading "M. Lynn Massey ’90 Breyfogle"
Norman “Chip” Duford ’90 completed his 24th summer in Holland, Michigan, as a member of the Hope Summer Repertory Theatre Acting Company. Roles he played were Alfieri in A View From The Bridge, President Roosevelt in Annie, The Musical and a member of the ensemble cast of Working. Thomas R. Ter Maat ’90 of Ada, Michigan, has been included in The Best Lawyers in America 2018. He specializes in insurance law with Foster Swift Collins & Smith, P.C. William Charles Crowley ’92 held an audition for Dance 44 at Hope this past spring and also served as program liaison for the 2017 Hope College Leap of Faith – Paris May Term. He then taught a month-long Graham Technique intensive for a sixth year at the Centre de Danse du Marais in Paris, France, … Continue reading "William Charles Crowley ’92"
Brian Keisling ’92 and Jill Eenigenburg ’92 Keisling celebrated their 25th wedding anniversary in August. Brian is director of operations and actuarial services for Michigan’s Medicaid program and Jill teaches private piano lessons. The oldest of their three children, Julia, is a fourth-generation Hope student and a member of the class of 2020. Scott Runyon ’93 reports that he was honored to be called as the 16th senior pastor of the First Baptist Church of Birmingham, Michigan, in their nearly 150-year history of ministry in the beautiful and thriving city northwest of Detroit. He began on June 1 at an exciting transitional time as together they will be … Continue reading "Scott Runyon ’93"
Mark Baker ’94 of Midlothian, Virginia, reports that in June of 2016, the Federal Government appointed him to serve as an administrative law judge for the Social Security Administration in Richmond, Virginia. He has also continued his service in the U.S. Navy Reserves; he holds the rank of a commander and currently serves as the … Continue reading "Mark Baker ’94"
Jeff Baxter ’94 is the lead pastor of River Church, Lakewood, Colorado, and has written a new book, From Broken to Beautiful: What Repairing Streams Has Taught Me About Healing The Local Church. Erik Butchart ’95 and Callie Budd ’01 were married on Sept. 2, 2017, in Coldwater, Michigan. Thomas Akland ’97 has recently been named to the Ascension Medical Group of Michigan board of trustees. Ascension is the nation’s largest nonprofit health system and one of the largest health systems in Michigan. He has served as the chief of the department of pediatrics since 2007 for Borgess Health in Kalamazoo, Michigan, and is … Continue reading "Thomas Akland ’97 and Audrey Coates ’97 Akland"
Rebecca Spencer ’97 of Amherst, Massachusetts, received a five-year, $2.64-million grant from the National Institutes of Health to study mid-day napping benefits on young children. She is a neuroscientist at the University of Massachusetts Amherst. 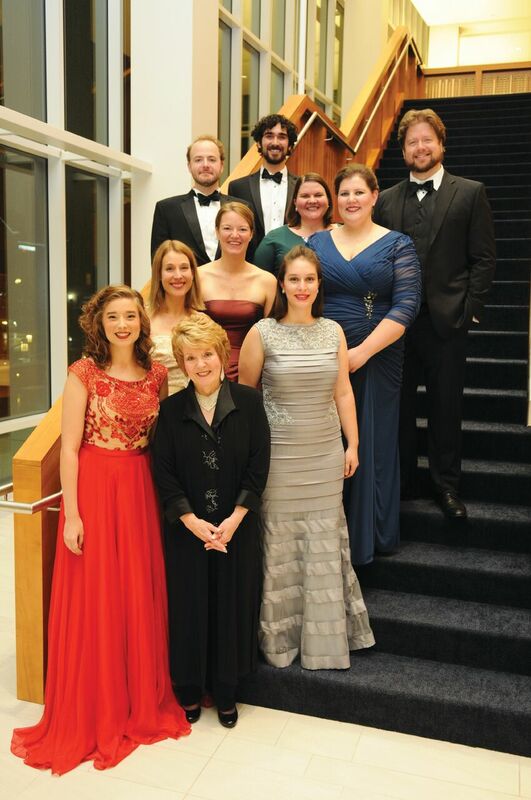 Nine alumni who have pursued careers in opera or have experience as opera accompanists returned to campus on Tuesday, Oct. 24, to share their experience and talent during a panel discussion and a gala concert named for an acclaimed predecessor that brought them together for the first time. They gathered from as far away as … Continue reading "Beth Quimby ’99 Fischer"
Nine alumni who have pursued careers in opera or have experience as opera accompanists returned to campus on Tuesday, Oct. 24, to share their experience and talent during a panel discussion and a gala concert named for an acclaimed predecessor that brought them together for the first time. They gathered from as far away as … Continue reading "Meredith Arwady ’00"
Nine alumni who have pursued careers in opera or have experience as opera accompanists returned to campus on Tuesday, Oct. 24, to share their experience and talent during a panel discussion and a gala concert named for an acclaimed predecessor that brought them together for the first time. They gathered from as far away as … Continue reading "Greg Frens ’01"
Chris Vande Bunte ’01 has accepted a call as the senior pastor of the Delmar Reformed Church in Delmar, New York. Shannon Wixson ’02 Smith and Jeremiah Smith announce the birth of Poppy Lee on May 27, 2017. She joins big brother Abraham James. Trevor Weston ’02 of West Bloomfield, Michigan, joined the law firm of Foster Swift Collins and Smith PC in Southfield, Michigan. His practice focuses on estate planning and probate and trust administration. Noel Snyder ’03 of Grand Rapids, Michigan, is a program manager at the Calvin Institute of Christian Worship. Amanda Howe ’04 Blackburn of Ann Arbor, Michigan, graduated with a Juris Doctorate, with honors, from the University of Toledo Law School in a commencement ceremony held on Saturday, May 6. Scott Blackburn ’04 of Ann Arbor, Michigan, graduated with a Pharm.D. degree from Wayne State University in a commencement ceremony held on Tuesday, May 9. Courtney Brewster ’04 of Memphis, Tennessee, accepted the position of associate director of the College Prep Program at Washington University in St. Louis. Katie Budris ’04 and Chris Bryan ’04 were married on June 25, 2017 in Kildeer, Illinois. Sarah Gonzales ’04 Triplett is the chair of the State Arts Action Network, which is a council of Americans for the Arts, the national arts and arts education advocacy organization. AFTA’s SAAN includes 53 members from 42 states, including the District of Columbia. Members independently lead their state’s arts policy initiatives and gather together to … Continue reading "Sarah Gonzales ’04 Triplett"
Gretchen Schmidt ’05 Fry and Timothy Fry ’05 along with their daughter, Meg, celebrated the first birthday of Charles Carver on Aug. 8. Bethany Martynowicz-Pollard ’05 and Tim Pollard announce the birth of Ellianna on Nov. 16, 2016. She joins big brothers Alexander and Zachary. Victoria Orefice ’06 Cooley and Matt Cooley announce the birth of Willem Charles on May 24, 2017. Victoria also completed her Master of Education degree in literacy studies with an emphasis on Teaching English to Speakers of Other Languages (TESOL) from Grand Valley State University in August 2016. Andrew Rose ’06 and Lauren Mueller ’07 Rose announce the birth of Lukas Richmond on May 31, 2017. He joins big brothers Christian and Gabe. Meghan Florian ’07 had her book The Middle of Things: Essays published in July by Cascade Books. Ashley Bainbridge ’07 Foster and Brett Foster announce the birth of Grace Annilee on Jan. 19, 2017. She joins big brother Lane (age 3) and furry brother Scout. Kali Hess ’07 Haynes and Addison Haynes ’08 announce the birth of Cohen William on May 9, 2017. He joins Briella Hope, who was born on Feb. 2, 2015. Kali is the head coach of the Brebeuf Jesuit Dance Team, and Addison is a physician at IU Health. Schuchen Deborah Li ’07 has assumed the regional role of communications manager for Getz Healthcare, managing the marketing and communications needs for the entire company with presence in more than nine countries in Asia. Laura Peterson ’07 recently moved to northern Virginia to begin working as a children’s librarian for the Loudoun County Public Library System. Miriam Lee ’07 Presley is teaching K-6 general music for Southern York County Public Schools in Glen Rock, Pennsylvania. Stephanie Konfara ’07 Wright and Justin Wright announce the birth of Elliot Dawson on June 2, 2017. He joins big brother Ethan. Jeremy Benson ’08 is a poet laureate of Napa County, California. Nine alumni who have pursued careers in opera or have experience as opera accompanists returned to campus on Tuesday, Oct. 24, to share their experience and talent during a panel discussion and a gala concert named for an acclaimed predecessor that brought them together for the first time. They gathered from as far away as … Continue reading "Isaac Droscha ’08"
Sarah Watkins ’08 Fabian of Chicago, Illinois, is in her second year of teaching in the Department of Communication, Media, and Theatre at Northeastern Illinois University (NEIU) as a tenure-track assistant professor of theatre. In July she was named the new managing artistic director of NEIU’s Stage Center Theatre, and she reported looking forward to … Continue reading "Sarah Watkins ’08 Fabian"
Heidi Weir ’08 Franklin of Canton, Michigan, completed her first year as marketing director for ATEQ Aviation. Joseph Seymour ’08 received a master’s degree in city and regional planning from the University of North Carolina at Chapel Hill. Lauren Stacks ’08 Yamaoka is now working as a major gifts officer for Southern Methodist University in Dallas, Texas. 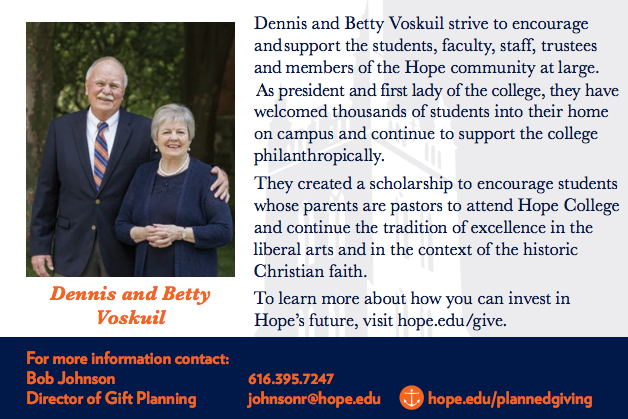 She and her husband, Tom Yamaoka ’08, are recent transplants to the DFW area and would love to connect with other Hope College alumni in the area. Timothy Carter ’09 reports that after spending the past six years in sub-Saharan Africa, most recently as the deputy country director for Samaritan’s Purse in South Sudan, he returned to Michigan to pursue an MBA from the University of Michigan this fall. Elizabeth Seifert ’09 and Jim De Jong were married on July 8, 2016 in Holland, Michigan. Elise LaRoche ’09 has joined the Franciscan Physician Network and is now practicing family medicine in Indianapolis, Indiana. She and Daniel Hekman were married on July 29, 2017. Erika English ’09 Mayer of New Berlin, Wisconsin, was awarded the 2017 Herb Kohl Teaching Fellowship, a prestigious honor that recognizes the top teachers in the state of Wisconsin. She succeeded through rigorous rounds of the process at the local and regional level before making it to state, and received the award in late spring. Julie VanLaan ’09 Goldsby and Kurt Goldsby ’10 announce the birth of Emma Kathryn on June 10, 2017. Colleen Leikert ’10 Laskowski and Stephen Laskowski announce the birth of Juliet on March 18, 2017. Emily Cook ’10 Pierson and Preston Pierson ’10 announce the birth of Evelyn Jo on July 27, 2017. Nine alumni who have pursued careers in opera or have experience as opera accompanists returned to campus on Tuesday, Oct. 24, to share their experience and talent during a panel discussion and a gala concert named for an acclaimed predecessor that brought them together for the first time. They gathered from as far away as … Continue reading "Briana Sosenheimer ’10"
Nine alumni who have pursued careers in opera or have experience as opera accompanists returned to campus on Tuesday, Oct. 24, to share their experience and talent during a panel discussion and a gala concert named for an acclaimed predecessor that brought them together for the first time. They gathered from as far away as … Continue reading "Sally VanderPloeg ’10"
Christina Tassoni ’10 Van Til and Christopher Van Til announce the birth of Elliott Jo on August 23, 2017. Sarah Patton ’11 Benjamin and Peter Benjamin announce the birth of Anna Clare on June 22, 2017. Alayna Ruberg ’11 and Don Atkins were married on July 28, 2017, in Spring Grove Park in Grandville, Michigan. Nine alumni who have pursued careers in opera or have experience as opera accompanists returned to campus on Tuesday, Oct. 24, to share their experience and talent during a panel discussion and a gala concert named for an acclaimed predecessor that brought them together for the first time. They gathered from as far away as … Continue reading "Sarah Ashcroft ’11 VandenBrink"
Nine alumni who have pursued careers in opera or have experience as opera accompanists returned to campus on Tuesday, Oct. 24, to share their experience and talent during a panel discussion and a gala concert named for an acclaimed predecessor that brought them together for the first time. They gathered from as far away as … Continue reading "Jenna Buck ’12"
Allyson Dreger ’12 graduated with a Doctorate in Physical Therapy degree from Central Michigan University. She and Jonathon Lowis were married on Sept. 8, 2017. Samuel Hirt ’12 and Arielle Brosman were married on July 15, 2017. Christopher Schmelz ’12 and Rebecca Segar ’12 Schmelz announce the birth of Micah Mira in June 2017. Nine alumni who have pursued careers in opera or have experience as opera accompanists returned to campus on Tuesday, Oct. 24, to share their experience and talent during a panel discussion and a gala concert named for an acclaimed predecessor that brought them together for the first time. They gathered from as far away as … Continue reading "Brent Smith ’12"
Emily Stolz ’12 received a Master of Education degree in languages with a concentration in English to Speakers of Other Languages (ESOL) at the College of Charleston in May. Zachary Beswick ’13 received a medical degree from Wayne State University School of Medicine and began his diagnostic radiology residency at Henry Ford Hospital in Detroit. Jeannie Horner ’13 Bultema and Jeremy Bultema announce the birth of Deacon Allen on April 28, 2017. John LoVasco ’13 and Hannah Nyboer ’14 were married on June 23, 2017, in Grand Rapids, Michigan. 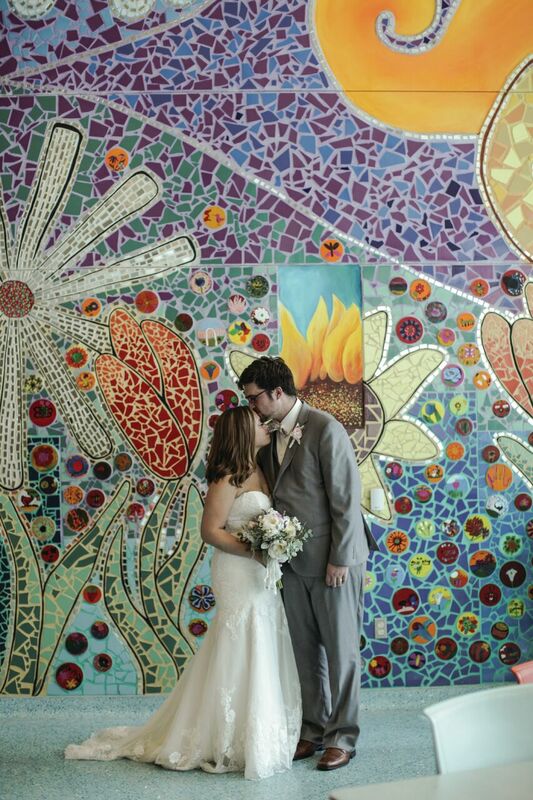 Philip Ploski ’13 and Kelly Ploski were married on June 14, 2014. Their first daughter arrived on May 26, 2015, and their second daughter arrived on Dec. 29, 2016. They have moved to Dallas, Texas, where he is pursuing a linguistics master’s with the Graduate Institute of Applied Linguistics. He reports that his life goal … Continue reading "Philip Ploski ’13"
Aaron Johnson ’14 and Kristen LaDuke ’14 Johnson announce the birth of Liam Isaac on Aug. 29, 2017. 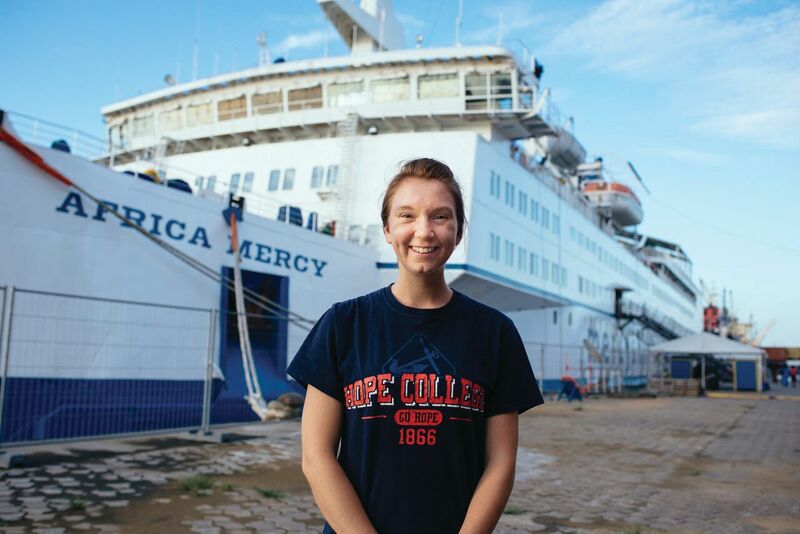 Kate Pitchford ’14 is working for the communications team on the Africa Mercy, a non-governmental hospital ship, and will be in Douala, Cameroon, until July 2018. Mercy Ships is an international organization that operates around the world, currently focusing on West Africa. The communications team includes photographers, videographers and writers, and Kate is one of … Continue reading "Kate Pitchford ’14"
Michael De Witt ’15 and Charlyn Pelter ’15 were married on Aug. 5, 2017 in Roseville, California. Emma Bomeli ’16 and Matthew Higgs were married on July 14, 2017. They now reside in Holland, Michigan. Jamie Bulthuis ’16 and Will VerDuin ’16 were married on May 13, 2017, in Holland, Michigan. They now reside in Houston, Texas. Kierstynn Foster ’16 and Daniel Rozema ’16 celebrated their wedding day with family, friends and the doctors who saved Kierstynn’s life when she was diagnosed with leukemia at age 16. They visited Helen DeVos Children’s Hospital in Grand Rapids Michigan, where Kierstynn was treated. The pictures and story went viral appearing on ABC News, Yahoo … Continue reading "Kierstynn Foster ’16 and Daniel Rozema ’16"
Aaron Goodyke ’16 joined the Caledonia Community School District as middle school choir director at Kraft Meadows and Duncan Lake. Courtney Lohman ’16 and Paul Bradley ’16 were married on June 3, 2017 in Downers Grove, Illinois. Alex Apostoleris ’17 is a trauma representative for surgery working for DePuy Synthes (Johnson and Johnson) in the Lansing area. Rachel Dober ’17 is working for AmeriCorps VISTA, serving in Helena, Montana, and focusing on education and healthy futures. She will be serving with two nonprofit organizations, the YMCA and Youth Connections Coalition, where she will be doing program and curriculum development along with fundraising and grant writing. She plans on attending graduate school next … Continue reading "Rachel Dober ’17"
Christin Drozd ’17 is a client accounting specialist for Seber Tans, PLC. She and Andrew Kelley were married on Sept. 2, 2017. Kate Ebels ’17 is a staff accountant at LVS CPAs & Associates, P.C. Stephanie Harper ’17 is a third-grade teacher at Fowlerville Community Schools in Fowlerville, Michigan. Sarah Mattioli ’17 is a high school chemistry teacher in the Issaquah School District in Seattle, Washington. Molly Meyer ’17 is a financial service professional at Charles Schwab in Indianapolis, Indiana. Megan Nowicki ’17 is an audit associate for BDO in Grand Rapids, Michigan. Samantha Stevenson ’17 is a registered nurse at Holland Hospital Spine and Orthopedics floor. Jon Van Reenen ’17 is a talent acquisition assistant for ZF Group. Grace Wiesner ’17 is teaching seventh grade mathematics in Kalamazoo Public Schools.